The Texas Hill Country is a unique region filled with diverse wildlife, clear springs, sprawling rural landscapes, historic towns, and some of the starriest night skies in the country. 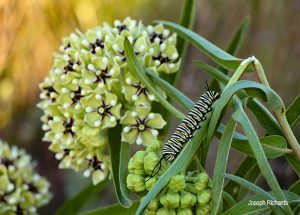 Each year the Hill Country Alliance (HCA) holds a photo contest encouraging photographers to capture the Texas Hill Country they would like to protect forever. HCA received over 500 entries to the 2018 photo contest from amateur and professional photographers alike. Submissions, ranging from a bolt of lightning cutting across a star-filled sky, to a stately windmill on a sprawling ranch and an evening paddle through Blue Hole, beautifully captured this year’s theme: The Texas Hill Country: The Place and its People. The four winning photographs were selected by a panel of judges and will be featured in HCA’s popular 2019 Texas Hill Country Calendar, available in September. This year, the public had the opportunity to view the photo contest entries and vote for their favorites. The People’s Choice recipient, Larry White, received a cash prize and a photo feature in the 2019 calendar. 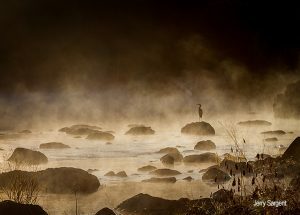 Grand prize winner Jerry Sargent captured Mist on the Pedernales in the early sunrise during winter solstice. 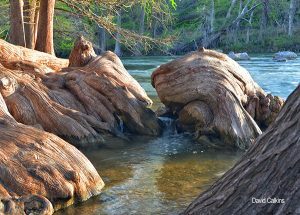 Sargent was in Pedernales Falls State Park when he noticed the mist rising off the water downstream and the first golden rays of sunshine shining through. “It was at that moment when the Great Blue Heron flew in and landed on the rock in the river. I took several images of him standing there, then he stood as tall as he could and looked back towards the rising sun. I captured the image and he immediately flew away. I knew at the time I had an amazing image,” Sargent recalls. The HCA photo contest judges loved the colors of Swallowtail and Mt. Laurel, the second place winner. 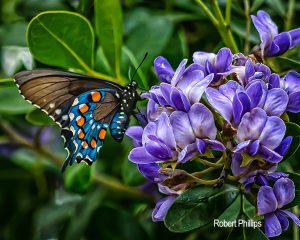 Photographer Robert Phillips spotted the Pipevine Swallowtail feeding on a Mountain Laurel blossom in Lakehills, Texas. Both flora and fauna featured in this photo are native to the state. 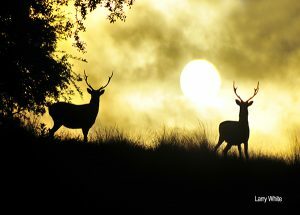 The judges believed Phillips’ photo fits the contest’s mission of highlighting the intense beauty of the region and can encourage viewers to respect the region’s wildlife. Now in its 12th year, the Hill Country Alliance hopes their annual photo contest and calendar will inspire residents to learn more about the environment and biology of the Texas Hill Country and to become involved in protecting the natural resources of this special region. The 2019 Texas Hill Country Calendar will be released in September and will be available for sale through the HCA website: www.hillcountryalliance.org. Wholesale prices for Hill Country retailers and special bulk order prices for businesses and organizations are available. 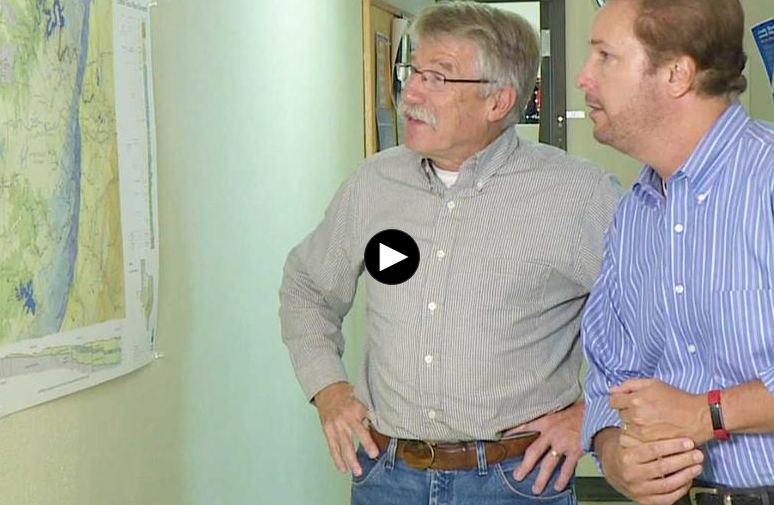 Contact info@hillcountryalliance.org for more information.